GOVINO is the shatterproof drinkware of choice, whether you’re hosting a party with friends or enjoying drinks around the pool. 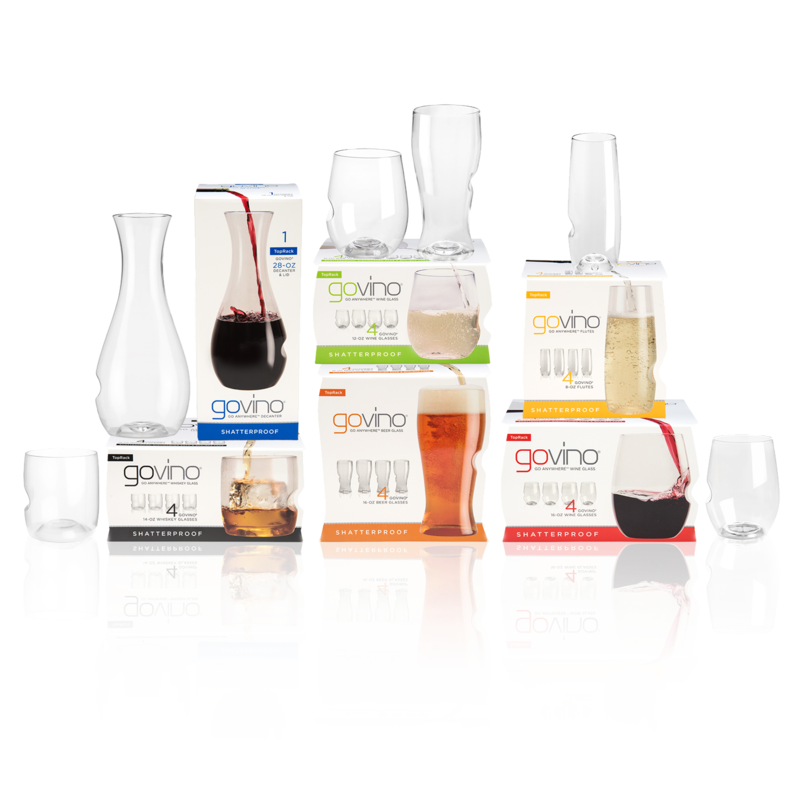 Ideal for any beverage, GOVINO was made for everyday use around the house, the backyard, by the pool, or anywhere life takes you. GOVINO’s DISHWASHER SAFE series also makes for the perfect hostess gift! GOVINO Dishwasher Safe Series is crafted from Tritan® and is totally shatterproof, reusable, recyclable. Best of all, top-rack dishwasher safe. So why risk broken glass? Think GOVINO for your next gathering. GOVINO truly is the ultimate ‘go anywhere™’ drinkware! Why risk broken glass during your next dinner party or festival? Whether camping, boating or picnicking in the park, GOVINO® goes where you do. 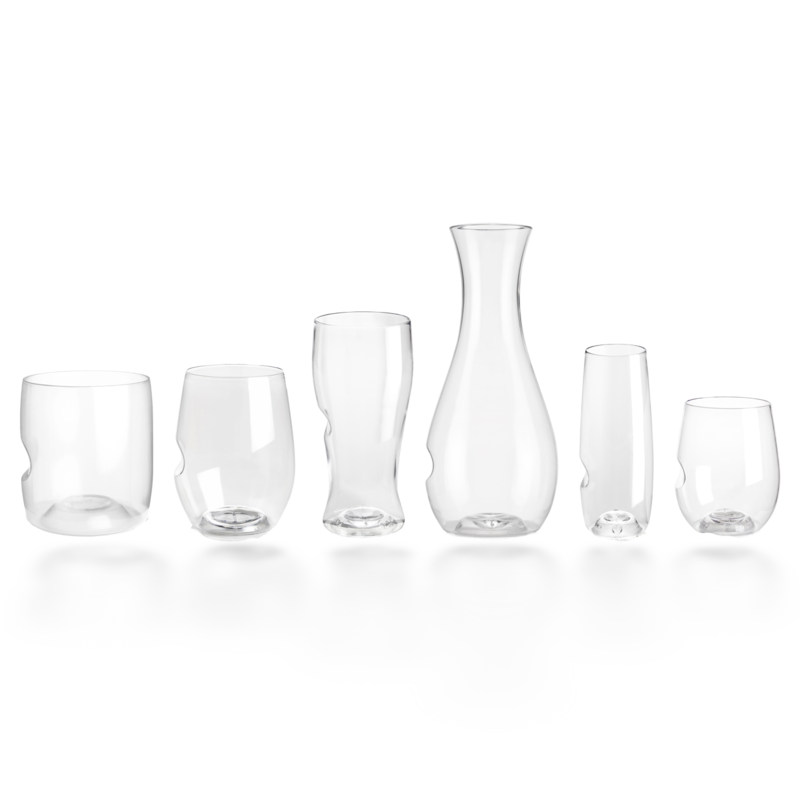 Ideal for any type of beverage, GOVINO is perfect wherever proper stemware isn’t acceptable. GOVINO is totally shatterproof, reusable, and recyclable. GOVINO Classic Series is made from PETG, a food safe and odor free, plastic resin. In order to maintain the shape and luster of your Classic Series drinkware, hand-wash only with a non-abrasive sponge, then buff dry with a lint-free towel or paper cloth. GOVINO… the ultimate ‘go anywhere™’ drinkware. A custom printed GOVINO is the perfect ‘take-away’! Click here to learn more about adding your logo or personal message. ‘Cheers’ – add a little something extra to your govino with these custom branded ‘Cheers’ Govino. A great gift and the perfect accessory for outdoor dining areas, pools, picnics and the beach. The best bit? They are dishwasher safe. Crafted from Tritan® and is totally shatterproof, reusable, recyclable. Best of all, top-rack dishwasher safe. So why risk broken glass? 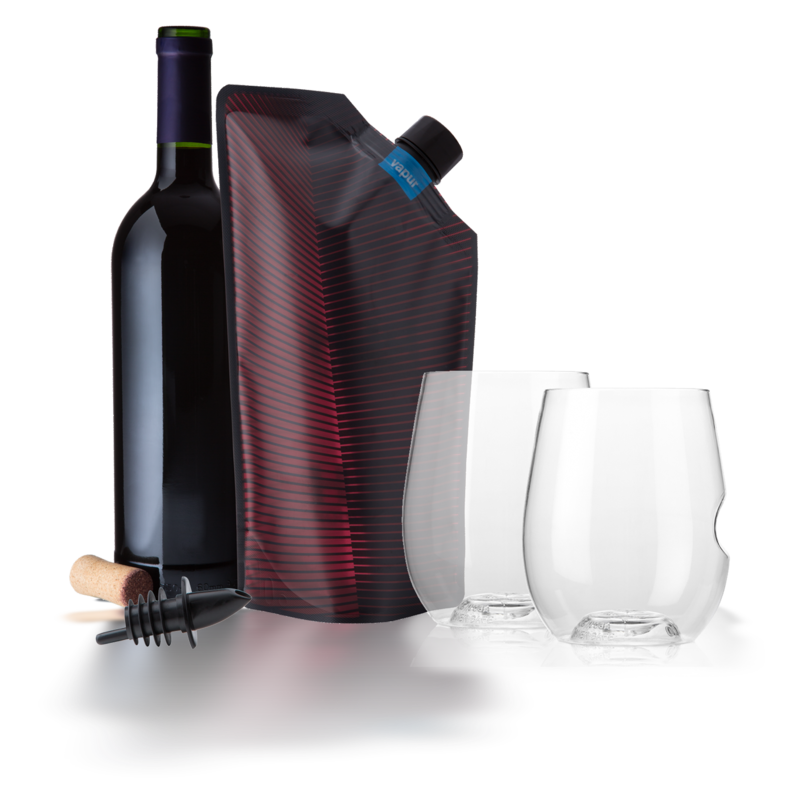 Spice up date night or make it a party with the 1 wine carrier and 2 wine glass set.